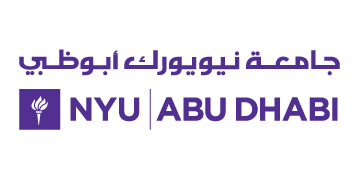 NYU Abu Dhabi is currently inviting applications for a full time, open rank, non-tenure track visiting faculty position in the Interactive Media program for the academic year 2019-2020, beginning classes in Fall 2019. The Interactive Media program is a newly established Bachelor of Arts major at NYUAD that combines art, interaction design, communications, computer science, and engineering. The program was established 6 years ago as a multidisciplinary minor, and is formally housed in the University’s Arts and Humanities Division but has broad reach across the University. The mission of the program is to foster the creative use of emerging technologies for communication and expression as well as to leverage the creative process as a means to engage in both theoretical and critical discourse. Across the program, Interactive Media faculty focus on experimentation and production both inside and outside of the classroom. Our approach to learning relies more on collaboration rather than competition so as to cultivate an accessible environment in which playful exploration, critical analysis, risk-taking, and failure can freely occur. While our foundation classes emphasize reading and writing, they are run in a workshop-like environment facilitating active learning and encouraging discussion of concept, content, technique and impact. Engaging with students beyond class time in the program's lab space through project assistance, personal direction, and community activities is key. Candidates for this position should hold a terminal degree such as an MFA, MPS, PhD or equivalent, University-level teaching experience and a strong record of professional achievement is preferred. Interested applicants should submit a cover letter, curriculum vitae, a statement of teaching philosophy, evidence of teaching effectiveness, two syllabi for courses you would be inclined to teach, and a list of two references, to: apply.interfolio.com/61784 . The deadline for this application is April 15, 2019. Due to the high volume of applications, only those selected for interview will be contacted. If you have any questions, please e-mail nyuad.artsandhumanities.positions@nyu.edu.